Compatible with the new 12 MacBook, Apple and Android smartphones, tablets (including the Nexus 7) and other USB-charged devices except for the iPod nano, iPod Classic, iPod Shuffle, HP TouchPad and Asus tablets. We recommend charging your MacBook while its turned off or in sleep mode (5-hour recharge time). If a port isnt working properly, your device may have triggered the protective internal safety switch. In order to reset the switch, unplug all cables for five minutes and retry. The Anker Advantage: Join the 10 million+ powered by Americas leading USB charging brand. Certified Safe: Ankers MultiProtect safety system ensures complete protection for you and your devices. 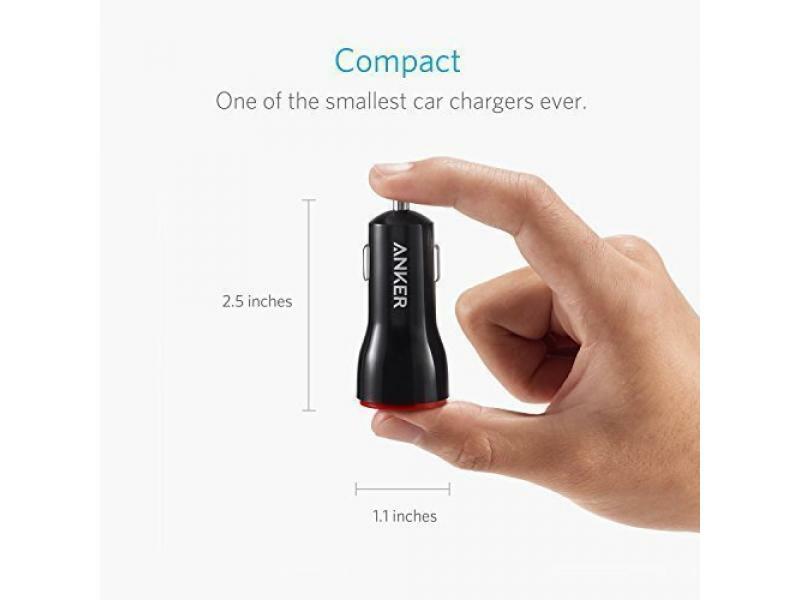 Compact Design: One of the industrys smallest ever USB car chargers, featuring two USB ports and an LED light for after dark.